PARTNER NEWS: Smartphone maker Huawei is to begin rolling out NFC mobile payments for public transport in Shanghai, Shenzhen, Guangzhou and Beijing through Huawei Pay, which launched in China in September 2016. The company is working with NXP to allow passengers with Huawei Honor 8 and Honor V8 handsets to preload the ticket fare to Huawei Pay and tap their device against contactless readers when boarding. “Delivering mobile transit services to Shenzhen, Guangzhou and Beijing on top of Shanghai is a significant milestone,” says Rafael Sotomayor from NXP. NXP is also working with handset manufacturer Xiaomi to roll out NFC mobile transit services across China, reporting in October 2016 that activation rates for the service grew more than 15% in Shanghai and over 20% in Shenzhen since services on the Mi 5 smartphone launched in June this year. 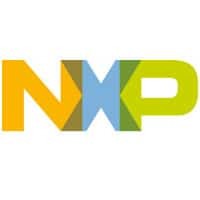 NXP and Huawei, one of the world’s most popular manufacturers of smartphones, today announced they will extend their strategic collaboration that will result in more secure and convenient mobile payment experiences for public transit systems in Shanghai City, Shenzhen, Guangzhou, and Beijing. According to Huawei, mobile transit is a convenient feature with a growing demand by smartphone users. Huawei Honor smartphones are designed to combine security and connectivity to fit the growing digital lifestyle and mobile transit fits naturally into this dynamic evolution of convenience, security and simplicity in smartphones. Together with NXP, Huawei is happy and proud to deliver these capabilities to our users. This collaboration enables consumers to securely preload the fare into their Huawei Honor 8 or Honor V8 phone. Using Huawei Pay, consumers tap the phone to a reader to use the fare for boarding, ‘top-up’ their account and more. Users will also benefit from NXP’s proven secure mobile transit solution which features Near Field Communications (NFC) and embedded Secure Element (eSE) in the same module combined with NXP’s ecosystem of experts and partnerships. Together, Huawei and NXP have the expertise, solutions and technologies to deliver mobile transit experiences and meet the burgeoning growth of contactless payment in China. According to an ABI Research report, in only a year from now, more than 80 percent of all POS terminals would will allow contactless payment. Additionally tap-and-go functionality is now present in more than 350 smartphone models worldwide with a majority of them available in China. As China continues to urbanize over the next decade, the market for smart payment technology in urban transit systems is expected to rapidly increase.